The medicinal potential of the Dead Sea region and the therapeutic properties of its water and the hot springs have been known for thousands of years. According to Josephus Flavius, a first-century historian, King Herod used to find relief for his aching body in the water of the hot springs in the area. The Dead Sea is mentioned in connection with its healing qualities in the Bible as well. Later these healing qualities are mentioned in the writings of monks at different periods and acclaimed in countless local tales. Remnants of a roman aqueduct on the slopes of Ein Navait testify that the hot water of the spring was transported for use at the fortress nearby. The spring, formed at the meeting point of two geological faults, resulted from ancient rains that seeped into the deep strata, dissolved the salts, and became heated to the temperatures prevalent at great subterranean depths. The mineral water, which is drunk from this spring, contains sulfur, chlorine and bromine and reaches temperatures of 39 degrees Centigrade. The natural curative factors which underlie the medicinal potential of the region are the mineral waters of the Dead Sea and the springs, the therapeutic mud, and the unique climate of the area. Dilute solutions of the water of the ancient lake that have penetrated into the layers of rock around the present Dead Sea. 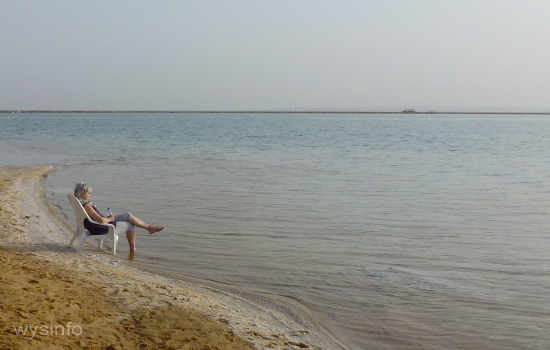 Dilute solutions of Dead Sea water. Rainwater, thousands of years old, trapped underground around the lake. The high temperatures of the spring water along the length of the fault indicate a depth of hundreds of meters at its source where the heat almost reaches boiling point. The therapeutic, physical, and chemical properties of the springs are associated with the heat of the water and the hydro-static pressure that influences the blood circulation and breathing. The high mineral content gives rise to other absorption and discharge of ions through the skin, in addition to the direct supply of various chemical compounds and elements, some of which are radio-active. Some of this hot mineral water arises freely while some is pumped from various depths according to the temperature required. It serves as a cure for diseases of the blood, kidneys and skin, as well as for rheumatic conditions. 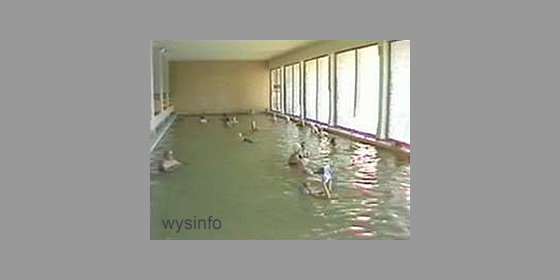 The clinical facilities at the many Dead Sea Spas are of various kinds, some having medical supervision. The main minerals at work here are the concentrations of magnesia, known for its anti-allergic effect on the skin and bronchial tubes; bromine, which has a positive influence on the nervous system; and iodine, for the functioning of various glands. The minerals of the Dead Sea are also important ingredients used in many cosmetics and skin care products. 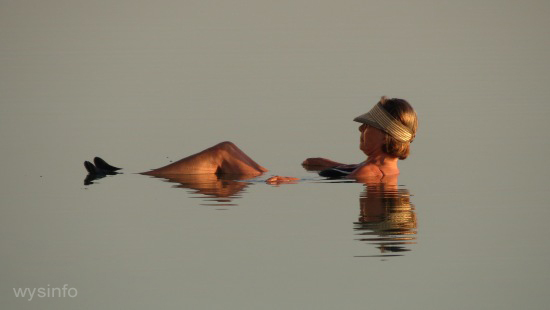 The salt concentration in the Dead Sea prevents the body from sinking and, apart from the pleasure of floating, this phenomenon facilitates physio-therapeutic exercises in the water for various rheumatic conditions, muscle spasms, or treatment after fractures. An additional factor integrated into the treatments is the therapeutic mud. The Dead Sea mud was formed from clay sediments rich in organic compounds originating in the animal and plant life and from the asphalt and algae that accumulate in the closed lake. This helps in the treatment of rheumatism and paralysis. The medicinal mud also contains many hormones, among them estrogen, which assists in the formation of the mucous tissues of the womb and therefore is also effective in treating gynecological diseases. Bathing in the sea at the bathing beaches or in closed pools is an integral part of the treatment offered to visitors. Although the medicinal indications of the water have not yet been adequately researched, this therapeutic resource is a great attraction, which gives the area advantages over other such places in Israel and the world. In addition to the medical properties of the water, the climate and atmosphere of the region have a therapeutic value of their own. The high atmospheric pressure, one of the highest in fact on earth, results in one of the highest oxygen content on earth and low ultra-violet radiation. This permits prolonged sun bathing without danger of burning on almost every day of the year. The absence of polluting contaminants makes for pure air, which eases bronchitis and bronchial conditions. On the other hand, the combination of low humidity and high evaporation contributes to accelerating the body’s metabolic processes. These climatic properties have a considerable effect on the non-specific treatment of certain diseases based on stimulation of cells and tissues while acting against unhealthy internal and external stimuli. 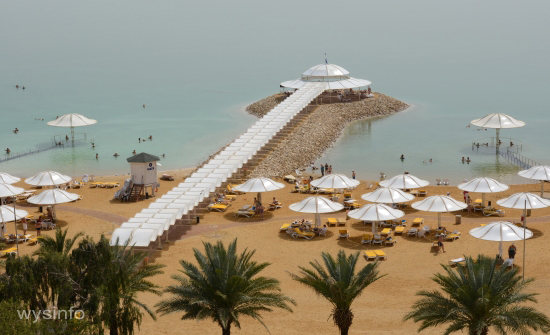 The treatment of psoriasis on the shores of the Dead Sea is a typical example of a specific cure. It has been proved that the vast majority of psoriasis sufferers are cured, or their condition improves, after being in the sun and climate of the area and taking hot mineral baths, as well as bathing in the sea. A further advantage, offered by the Dead Sea treatments, lies in the immeasurable improvement in the patient’s state of mind away from the depressing atmosphere of the hospital. The medical facilities here are in an obviously tourist area and, in addition, the cure is accompanied by explanations of its progress. It seems that this cure for psoriasis is not only at least as effective as the traditional treatment, but it is also cheaper and more pleasant. The positive results have led to medical insurance funds in other countries paying for the trip and treatment of psoriasis sufferers, thereby cutting the cost of treatment in a hospital and freeing beds. Moreover, up to now patients usually have, for aesthetic reasons, been too embarrassed to uncover the affected parts of their body at public beaches. This is not the case here.